The CPU 65/08 SBC for general purpose industrial and commercial applications is available from Systems Innovations, Inc., Lowell, Mass. 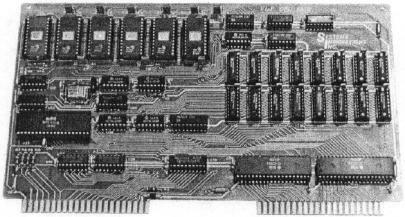 Utilizing the popular 6502 Microprocessor, the board will accomodate up to 24K of ROM/EPROM and 8K of RAM. Two on board VIA's provide 40 I/O lines including 4, 16 bit timer/counters, two serial lines and 14 levels of interrupt. The I/O buss supports DMA and is fully buffered with pinouts equivalent to the KIM 4 standard, thereby allowing the CPU to drive expansion boards directly.